Hello, everyone…it’s Heather, from Thicketworks. 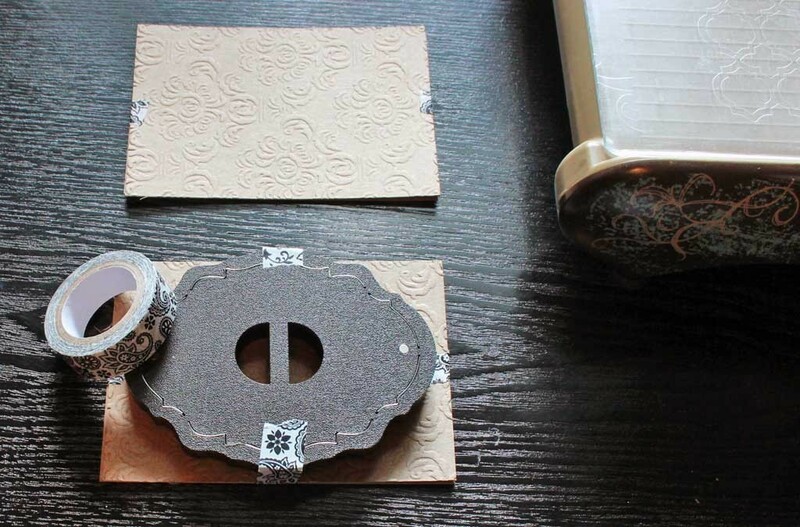 Today we’ll be making some inexpensive, but luxurious, Faux DIY Antique Keepsake Frames. 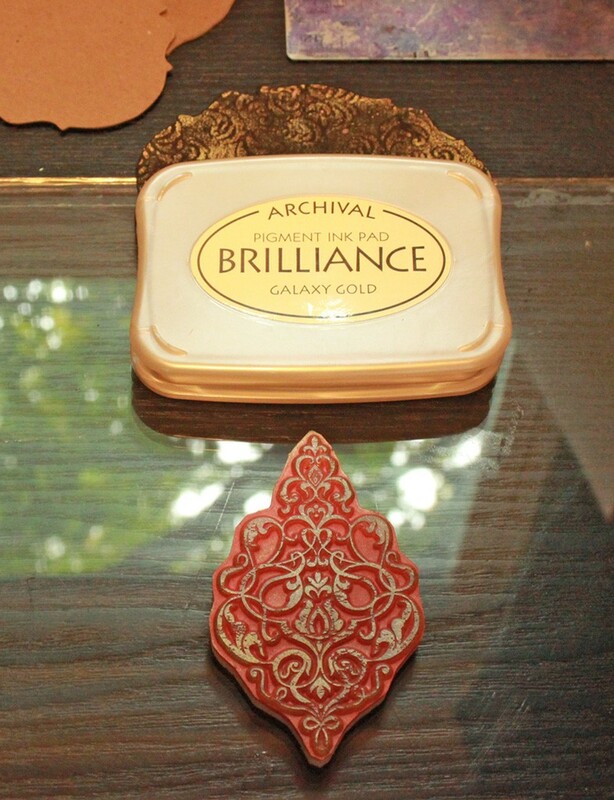 This elegant keepsake can be used to showcase antique photos, like the ones we find here at The Graphics Fairy, or any of your favorite imagery. 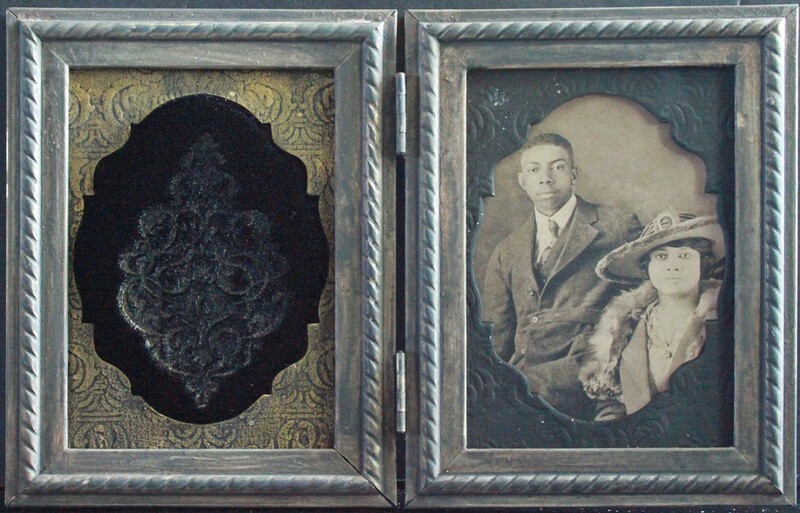 In the late 1800’s, it was typical to keep mementos of dear ones in special cases, complete with embossed velvet insets. 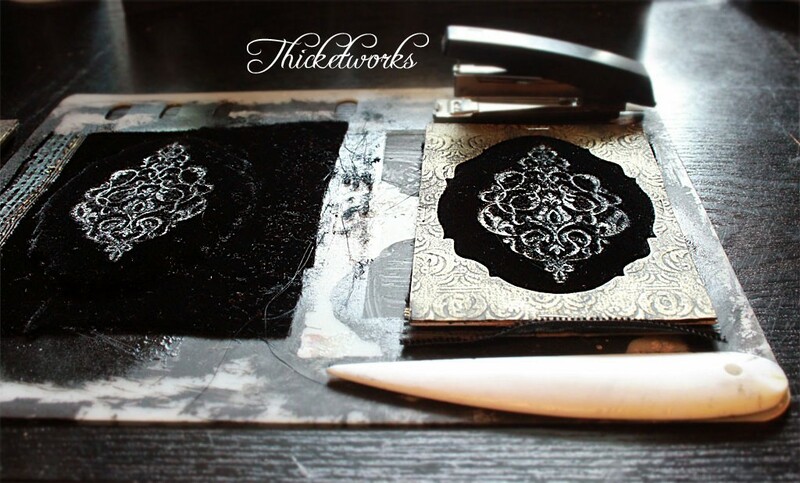 We’re going to recreate the process of embossing a metallic motif into our velvet! 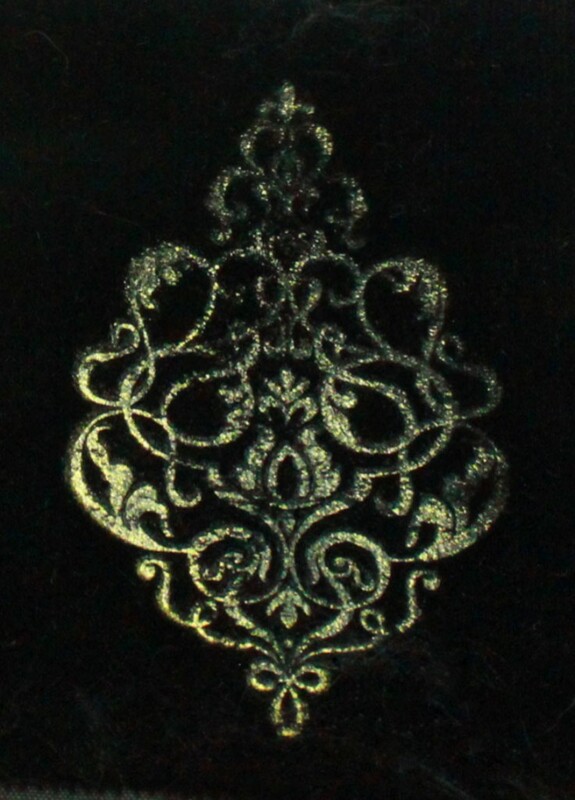 If you’d just like to learn how to emboss velvet with metallic ink, those instructions are at the beginning of the post. Velvet – not velveteen, but specifically polyester, nylon, viscose or acetate based velvet. (I suppose silk velvet might work, but I wouldn’t want to risk it). I get a half-a-yard of acetate/poly velvet @ Joanne’s for about $10.00, and that’s enough to make at least 8 of these treasures. 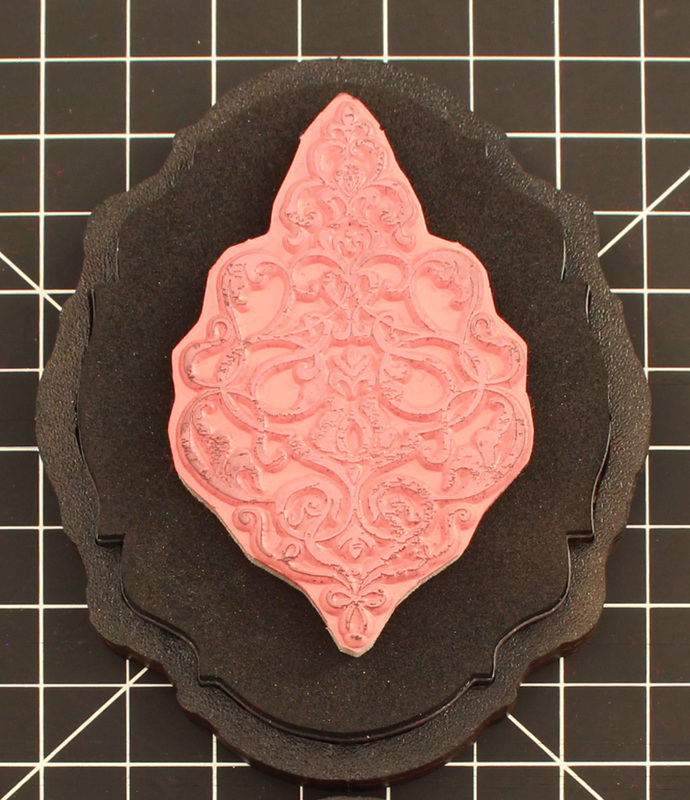 A rubber stamp, which will become the focal image on your velvet. Not a clear stamp. The motif should be bold, rather than detailed. 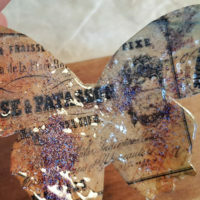 I’m sure you can achieve this with wood mounted stamps, but I’ll be focusing on how to use cling-mounted rubber stamps. If you are using cling-mounted rubber stamps, a piece of sturdy glass pane, large enough to mount your stamp onto is very helpful. Images printed in scale with your frames. Inkjet prints are fine. For this project, I used Unibrow Man, African American Couple, Young African American Man, Amazingly Beautiful Gypsy, Spooky Old Woman and the adorable Cranky Little Boy photos from The Graphics Fairy free archives. A set of hinged picture frames from the dollar store. I get the ones that have a 3.5″ x 5″ opening. Several 8.5″ x 11″ Sheets of Medium Weight Chipboard – slightly heavier than cereal box weight. Your favorite heavy-duty adhesive. (I use Fabri-Tac). Disassemble the picture frame: bend back the prongs, remove the backer boards, the cardboard inserts, and the glass. The glass in these cheap frames is usually very brittle, and can have sharp edges – be careful. Set the inner cardboard pieces aside; we’ll be using them later. Discard or store the glass and the backer boards, as we will not need them for this project. Leave the prongs in place. 4) Cut a piece of velvet about half an inch larger than your die on all sides. I generally press straight down and hold for about 3 seconds at a time, lifting and repeating until I’m sure the entire design has been ‘impressed’ into the pile of the velvet. The key here is not to allow the velvet to shift at all while the heat is being applied. 8) Retrieve one of the cardboard inserts that you removed from the frames. 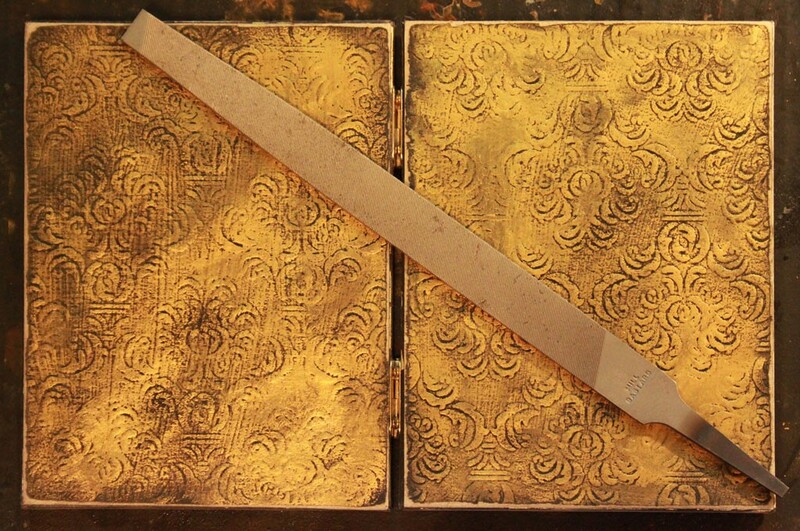 Use this, and the frame itself as patterns to follow as you cut chipboard cards to fit. 2 chipboard pieces sized to fit the entire back of the folding frame, all the way to the edges on all sides (these will become the backing / outer shell of the folding frame). 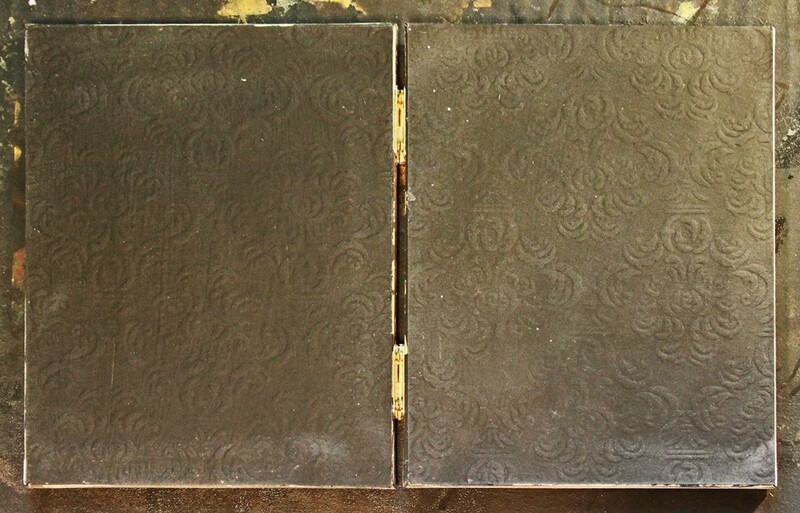 9) Emboss both of the “outer shell” sized chipboard pieces, set aside. 10) Emboss 2 of the “insert” sized chipboard pieces, and leave 4 plain. 11) Set aside 2 of these plain “insert” sized chipboard pieces, as backing for our velvet panel and our photo panel. Note: embossed impressions will be more pronounced if you lightly spritz the chipboard with water before enclosing it in the embossing folder. 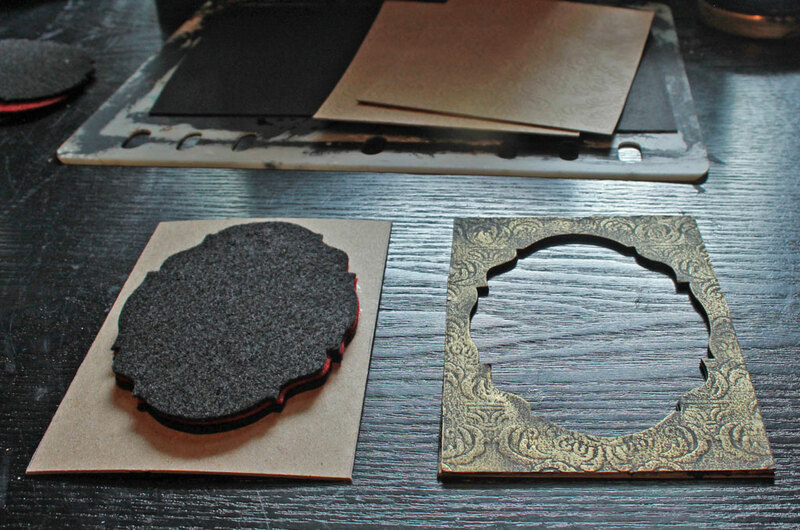 12) Layer the 2 embossed chipboard inserts atop the 2 plain chipboard inserts; embossed surface uppermost . Using a small amount of low-tack or Washi tape, adhere each set together in preparation for die cutting the center aperture. 13) Center the die, and lightly tape it to the embossed surface of the layered cards. Send it through the machine. 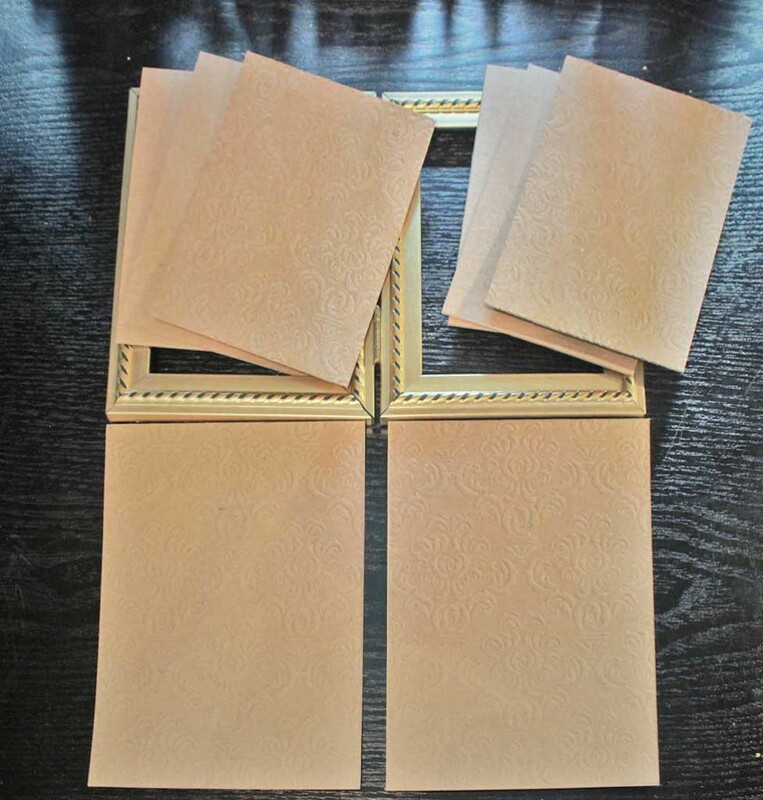 The goal is to produce matched pairs of “insert” frames, one embossed, and one plain. 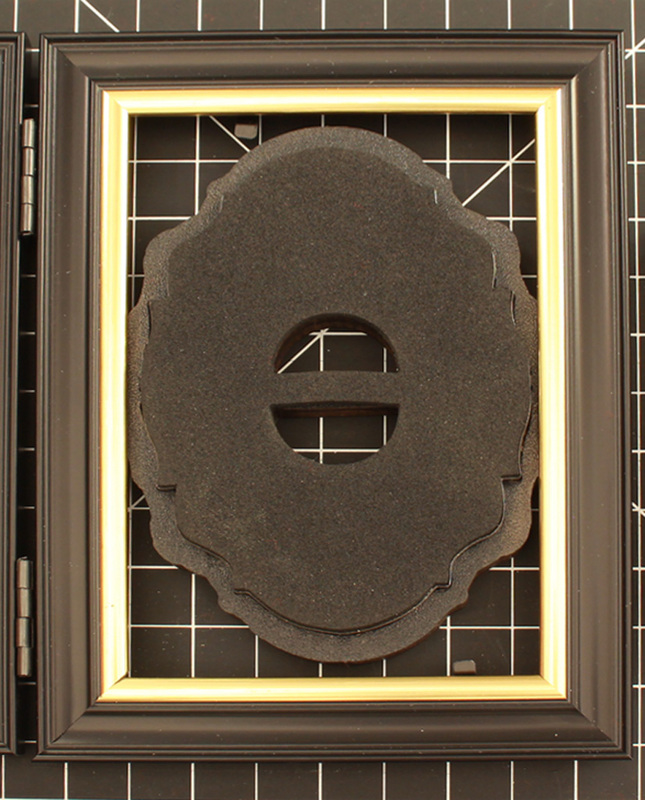 We’re creating one ‘frame’ that will perfectly match the felt padding we are creating for the velvet, and one frame for the photo panel. 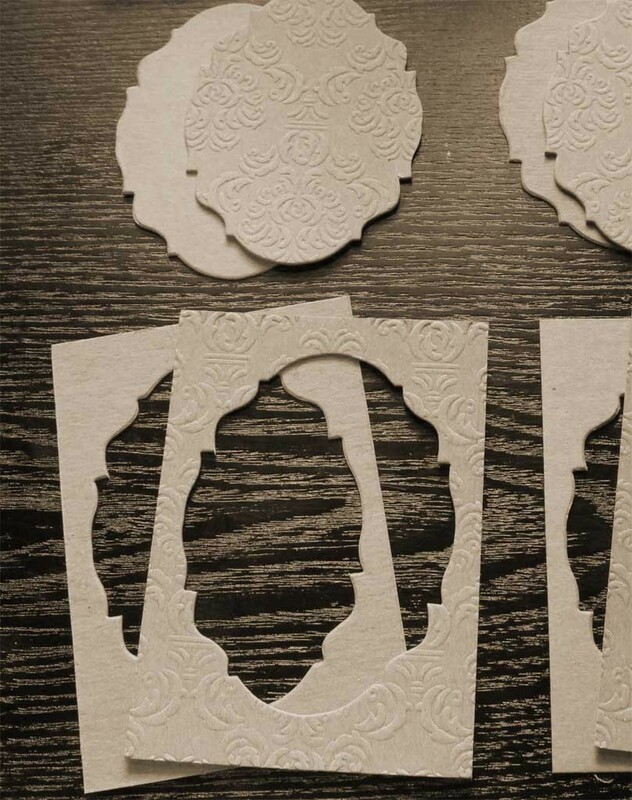 What we are after are the ‘negatives’ of the die cut shape, or the ‘frame’, rather than the medallion shape. 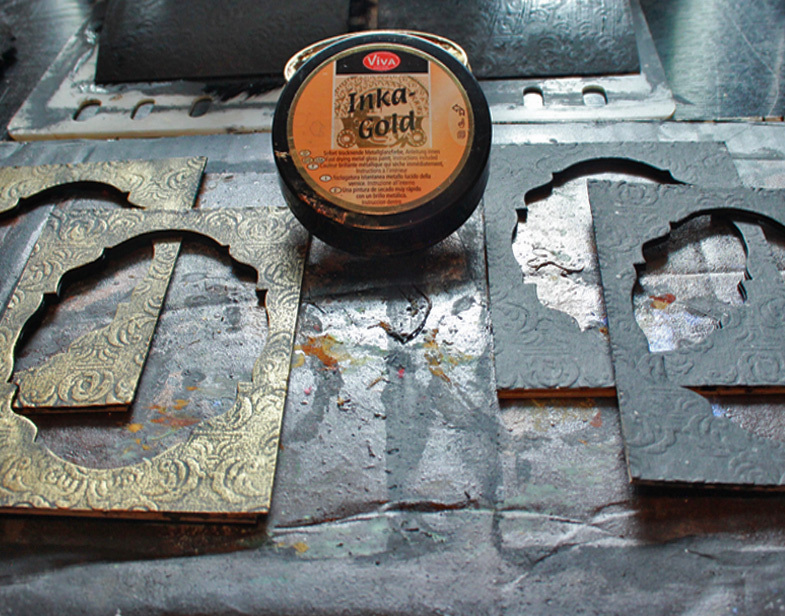 15) Once the glue has cured, coat the embossed surface with black Gesso or craft paint. Take care to cover the inner edge thoroughly. 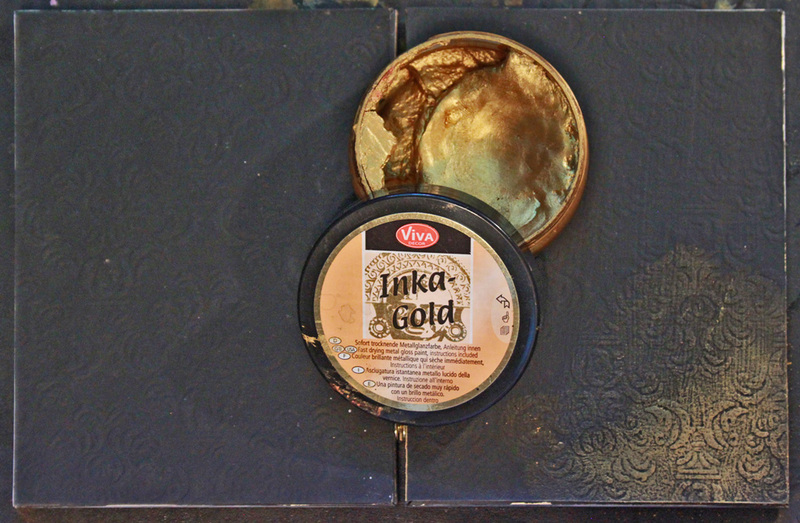 When the Gesso or craft paint has dried, use Inka Gold or Rub-n-Buff to highlight the embossed design of one frame, and leave the other black. I like to spatter a bit of contrasting paint on the black surface. Since I’m making multiples, this pictures shows double the amount of frames required for a single project. (You’ll only need one black and one metallic frame). This is the padding for our embossed velvet panels. Those 2 plain “insert” sized pieces of chipboard that you cut earlier? Now’s the time to remember where you put ’em! 18) When you’re satisfied with the placement, adhere the felt to the chipboard insert, then adhere the second layer of die cut felt directly atop the first, resulting in a stack of one layer of chipboard, with two or three layers of felt glued to the surface. I use a strong spray adhesive for each layer, going outside and heeding all safety warnings. 19) Once the felt padding is in place, cover the felt layers and chipboard surface with spray adhesive, taking care to spray the adhesive along the edge where the felt meets the cardboard. 20) With this sticky mess on your work surface, gently place the embossed velvet over the top of the felt padding, lining up the embossed motif over the padding carefully. Firmly press the velvet to the felt and the chipboard around the edge of the padding. A bone folder helps with this step. 21) Place your metallic “insert frame” over the velvet and padding, easing it to fit. 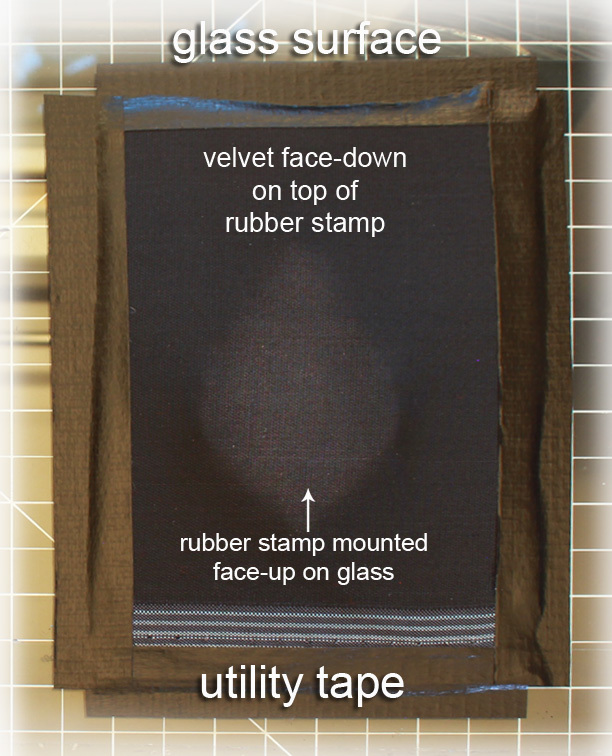 Once it’s firmly in place, staple along the very outer edges of the frame to capture the velvet inside the frame, and to force the padding to protrude slightly through the aperture. 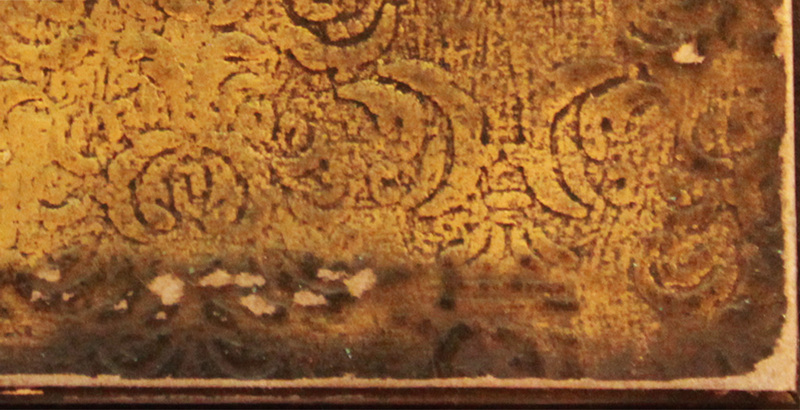 It’s essential to keep your staples along the very outer edge of the “insert frame”, so as not to be visible when placed inside the actual picture frame. If any of the velvet overhangs the edges of the assembled layers, just trim it away. 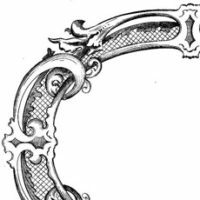 22) Slide the padded velvet panel into the left side of the picture frame, and clamp it down with the little prong thingies on the back of the frame. 23) Center your chosen photo beneath the black “insert frame”, and trace around the outer edge. Trim the image to fit. Glue the image to the remaining plain “insert” sized chipboard card with a glue stick, then glue the black “insert frame” over the image, creating a sandwich. 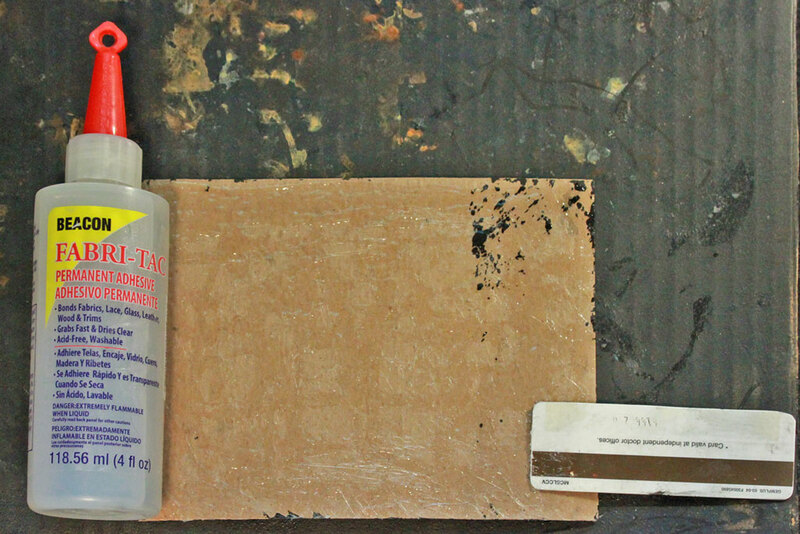 Once the glue has dried, place this photo panel in the right side of the picture frame. 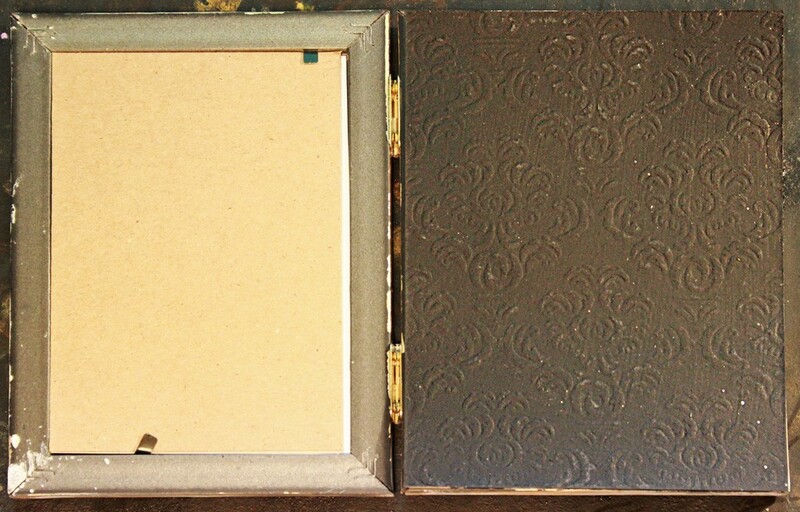 If it does not sit flush with the back of the frame, add additional chipboard layers until it is snug. Clamp down with the prongs. We are about to permanently enclose the back of the frame, so any last minute adjustments should take place now. 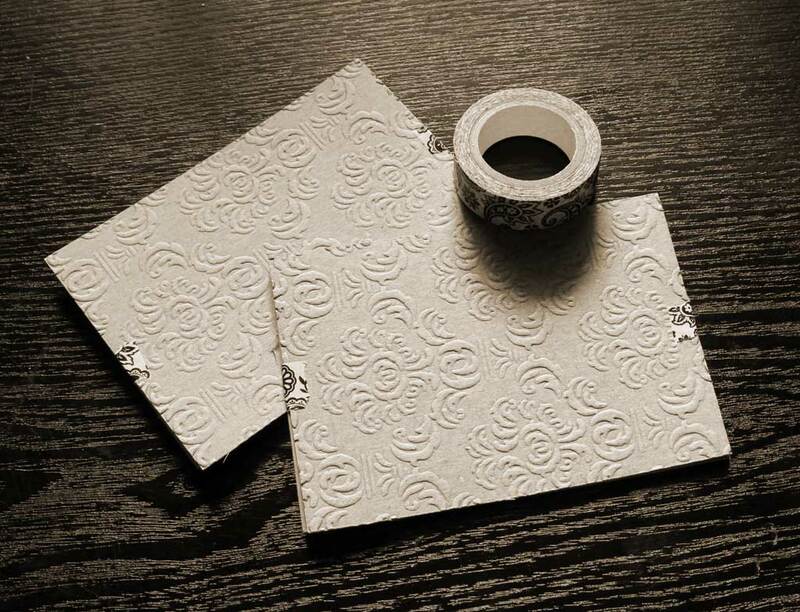 25) Cover the back of each embossed chipboard panel with heavy-duty adhesive, making sure to spread the adhesive over the entire surface. (I use an old credit card for this). Allow the adhesive to cure, making certain that the bond is secure. Weight it if necessary. 30) Use craft paints to create a layered and distressed finish on the frame, disguising its dollar store provenance, and there you have it! Instant (ok, not quite instant) history….A beautifully aged and distressed ‘heirloom’ suitable for your favorite vignette spot. 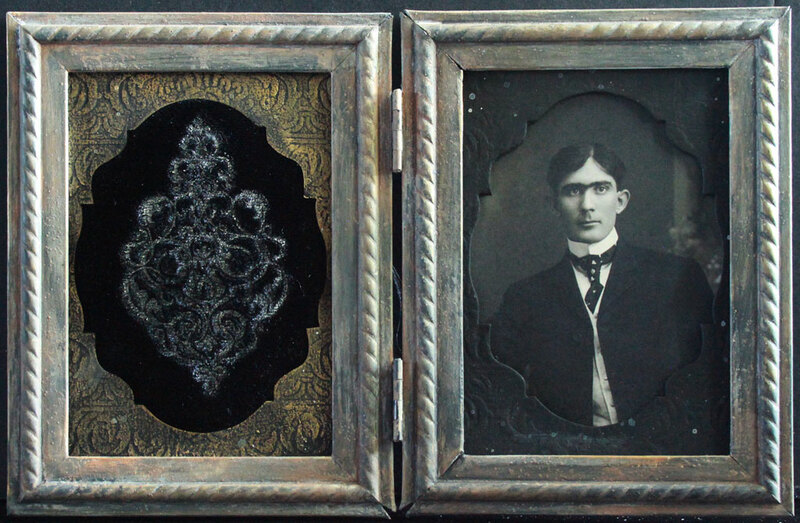 I loved making these keepsake frames, and I can’t wait to use more embossed velvet in future projects. Thanks for joining me, and I hope you enjoy using these techniques in your own creations! 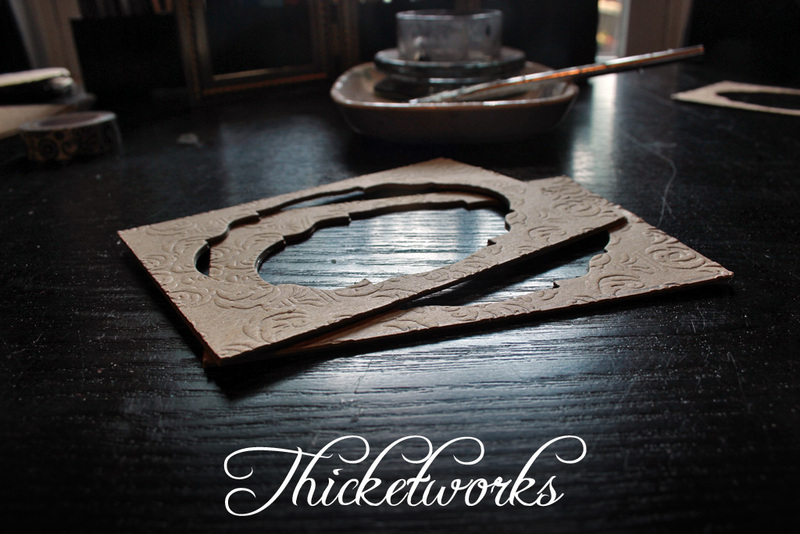 If you’d like to explore more faux-finish techniques, stop by Thicketworks and poke around. I’d love to hear from you! Embossing Powder Techniques – Design Team Kelly Boler 23 Frame Clipart – Fancy and Ornate Mixed Media Art Dress – Design Team Tejae Floyde! Phew!! I need to let my breath out now, had been holding it throughout without realising!? As phone keeps turning off, stopping response now. “Thank goodness!” The crowd cry ? Hello Caroline! So thrilled to see you here, dear heart…And, oh, it just makes me SUPER happy that you found this useful in any way at all. I have to agree that we share a special ‘something’…quirky, yes, humorous – Yep! Thank you for stopping by and leaving such an encouraging comment, my friend! Wow! This is a fabulous tutorial. What beauty you achieved and how well you described your process. Heather, you are so clever! Thank you so much for sharing. 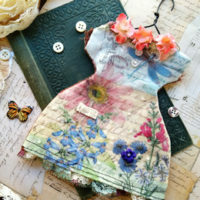 Heather what a magnificent post!! The results are unparalleled the vintage like k achieved is so unique. 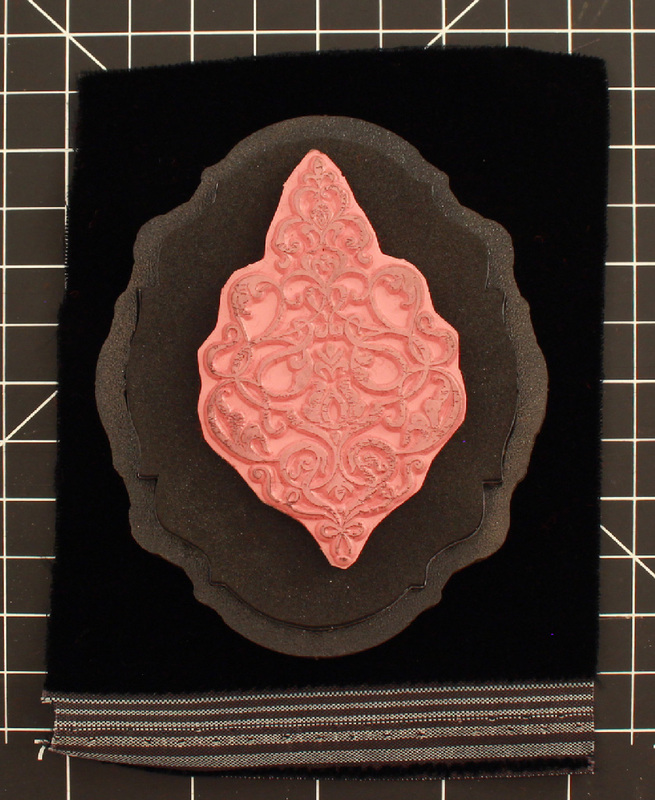 I had embossed velvet before with a wood mounted stamp and no ink no I need to go try some metalic embossing the result is phenomenal! You’re so awesome thank you for sharing your wonderful ideas! Hi Milagros! 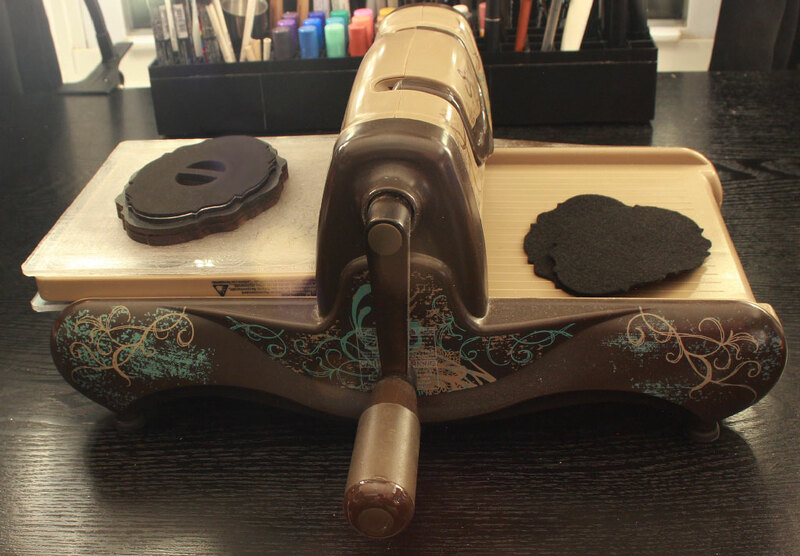 Don’t you just love embossing velvet? I was so excited to discover that the metallic inks work beautifully with the process. I know you’ll have fun with this. Thank you SO much for stopping by, my friend!